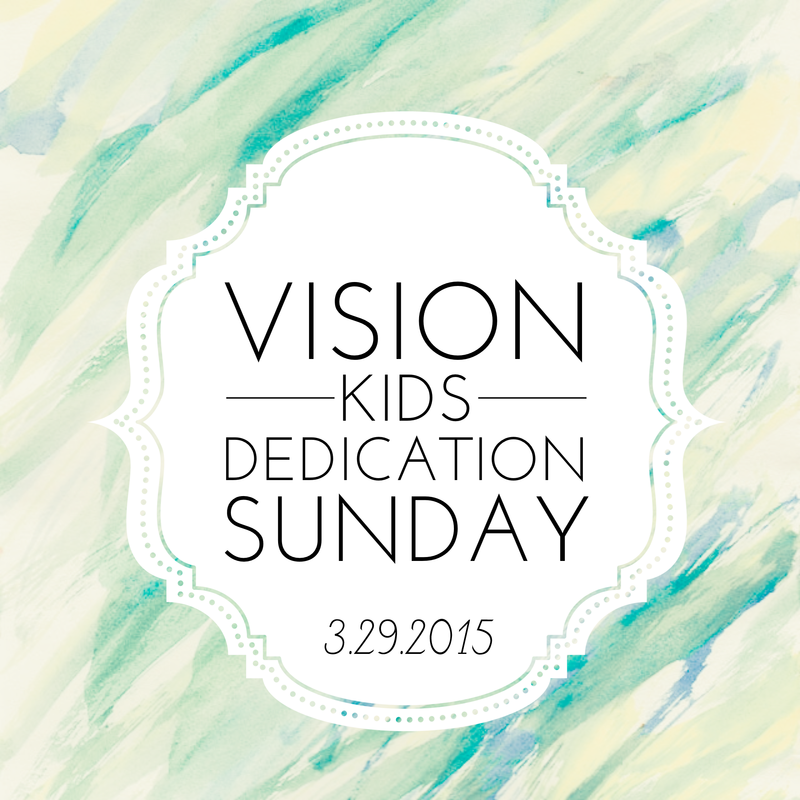 Coming up Sunday, March 29 will be a special family service at VISION City Church where parents will be able to have their children dedicated to the Lord. For the first half of service children will be able to sit in the main auditorium with their family as we have a musical presentation by our children in our VISION kids ministry! We will then break for parents to check their kids into class, and resume back in the main auditorium for service. If you have a child that you would like to dedicate to the Lord please sign up after service this Sunday, or send an email to contact@visioncitychurch.com with “Dedication” in the subject line.